IBT is now mandatory ,if you are a new Permit holder you must complete your IBT course before riding a motorbike on the road . IBT is available in the following formats. Sharing is possible and can help reduce the cost , contact us for details. Maximum 1 : 2 on road , at all times. If you have a Group of 6 or more , we can offer a special discount of up to 20% !! All courses Include Bike Hire , Gear , Insurance and Petrol. 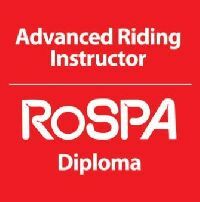 This course is designed for existing Permit/Licience Holders that may need some help with particular aspects of their riding .This would include "Slow Control", "U Turn" , "Figure of Eight" , Slalom etc. Some of which are part of the Test now . Also including the "Technical Aspects " of the bike, covering basic maintenance and the "P.O.W.D.E.R" Check . All these are relevant to your safety , and designed to enhance your overall Biking experience. Cost : Depends on a number of factors, call to discuss. **Min 2 hrs if you have never had a lesson from us . This course is for anyone who has received a date for their test , and is ultimately designed to prepare you for that day . I will take you through a simulation of the Test , going through all test requirements/ procedure , using the Bike to Bike Radio's and give you my opinion once completed . We have a fantastic unmatched record when it comes to passing the test . **Other costs may be added ,depending on location and time , these will be discussed and agreed beforehand . Call us for more information . **All bike hire is based on strict conditions . Anyone wishing to hire a bike to do a test , must be accompanied by the Instructor . You are not insured to ride the bike on your own . Some instructors /schools will not inform you about this , because it saves them money . You should ask ! We can offer the following , because we are one of a select group of Instructors approved to provide Advanced Motorcycle Tuition . These courses are for anyone with a Full Class A License/Permit , interested in improving their skill, confidence and overall attitude . We can help you with everything from your choice of Bike ,to dealing with the Technical Aspects of your machine . We can design a Training Plan for you to work on , its not about the amount of lessons , It's about "Saddle Time" learning good habits as you progress . If you are interested in taking your ability to another level ,I can teach you advanced riding techniques focusing on "The System of Motorcycle Control" as explained in The Police Riders Handbook "Roadcraft" . Learn to Ride like a Police Rider . Click on link below for more details on RoSPA Assessment . 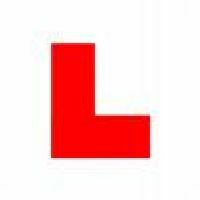 We are now approved to Provide Motorcycle Insurance Skills assessment on behalf of AXA & Liberty. For more details , please visit their website (links section) or contact us directly . A Skills Assessment can help make you a better more responsible and safer rider , regardless of your age , experience and the type of bike you ride . It can also mean a reduction on your annual Insurance Premium of possibly up to 30%. Insurance Assessments vary in cost , its all down to the individual. Note: *** Training may be required to achieve an improved Grade . We recommend Training before any assessments are carried out , each case is addressed individually . Click on the link below for more information .